VANDALIA — The Vandalia Police Department is looking for a few good men and women who have the desire to learn about law enforcement and the Vandalia Police Department to participate in the Citizens Police Academy starting in March of 2019. Applications must be submitted by February 15. For more information contact Vandalia Crime Prevention Officer Holly Estepp at 415-2272. WHAT IS THE CITIZENS POLICE ACADEMY? The Citizens Police Academy is a free community education program intended to build lasting relationships between program participants and the Vandalia Division of Police, with the ultimate goal of reducing crime and achieving the best police service in the Vandalia community. The program will give people an inside look at the values, philosophies, and operations of the Vandalia Division of Police, while at the same time serving as an open forum for questions, discussion, and the exchange of ideas. Both participants and police personnel will be better able to dispel concerns and misconceptions, improving police and community rapport. Participants will have the opportunity to tour the Vandalia Division of Police Department. Participants will receive instruction in active shooter training, traffic enforcement, OVI laws. Subject-matter experts from the Vandalia Division of Police will provide instruction on topics such as the function of patrol officers, cruiser driving, defensive tactics, officer involved shootings, and evidence collection. WHEN IS THE ACADEMY? The Citizen Police Academy runs for eight weeks and classes are held on Thursday evenings for two and half hours starting March 28-May 16. 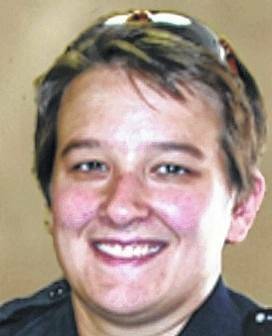 Classes will primarily convene at the Vandalia Division of Police Department, typically last from 6-8:30 p.m. Participation in the academy requires a substantial commitment, and any participant who misses more than two classes will not be able to graduate. 1. Must be a city resident, work in the city, or own a business in the city. 2. Must be able to make a commitment to attend the eight-week course. 3. Must be 18 years of age or older. 4. The applications will be reviewed by the Vandalia Division of Police and upon approval the applicant will be approved to join the Citizen’s Police Academy roster.